From gold-plated dining overlooking the Venetian lagoon to pan-Asian elegance in the heart of Rio, Belmond is proud to offer some of the best Michelin-star restaurants in the world. Dining at Oro is an ethereal and glamorous affair. Set on the tip of Giudecca Island it commands sensational views spreading out across the lagoon towards Piazza San Marco. An impressive domed gold leaf ceiling serves as the restaurant’s namesake (‘Oro’ means ‘gold’ in Italian). The magnificent handmade Murano glass chandelier at its centre accentuates the sparkle. “Most of our produce is sourced from the Lagoon’s local gardens, especially Giudecca and Sant’Erasmo islands,” explains Executive Chef Davide Bisetto. This way he captures the true flavours of Venice at their most seasonal. 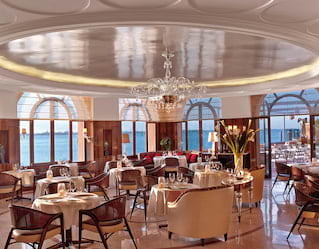 Oro is the perfect place to experience authentic, elevated cuisine that is one of the most unique in all of Italy. The City of Samba is aflame with restaurants ready to ignite your imagination, but few are as hot as MEE at Belmond Copacabana Palace. 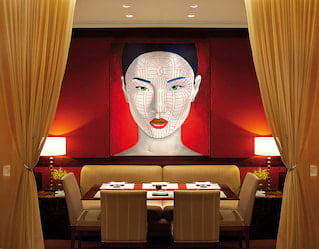 Featuring dramatic décor and an elegant pan-Asian menu, it has become one of Rio’s most sought after dining venues. Take a seat, and you will be whisked on a gastronomic journey through Thailand, Cambodia, Malaysia, Korea and Japan. Our well-seasoned chef flexes his creative muscle, fusing flavours and textures from different places to keep guests excited. One such dish is tokubesuna kaki, fusing fresh Brazilian oysters with sea urchin and tangy ponzu sauce. Nestled on the cliffs of Funchal, gazing down to the endless Atlantic Ocean beyond, Belmond Reid’s Palace has long set the standard for luxury in Madeira. William restaurant honours the hotel’s rich history while pushing the often-overlooked local cuisine to daringly modern new frontiers. 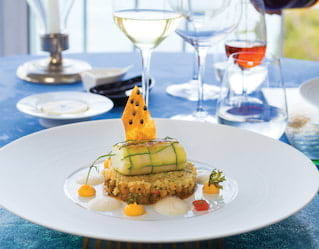 Executive Chef Luís Pestana has trained at some of the most extravagant restaurants in the world, but he found his own unique direction for William. Gary’s approach to the food he creates has paid off. 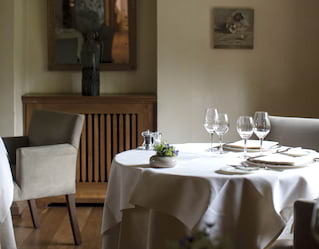 The restaurant has retained its two Michelin stars for 32 consecutive years, having received both upon opening. It enjoys a reputation as one of Britain’s best restaurants, and is a bucket list dining experience for many self-proclaimed foodies. As the seasons change, the menu also transforms to reflect this stunning time of year.